Snippets of Jack: "Your Pearl of Great Price"
"Your Pearl of Great Price"
Have you ever wondered how the Black Pearl got received her name? Like me, you probably assumed that she always had that name because of her black masts and black everything, really. 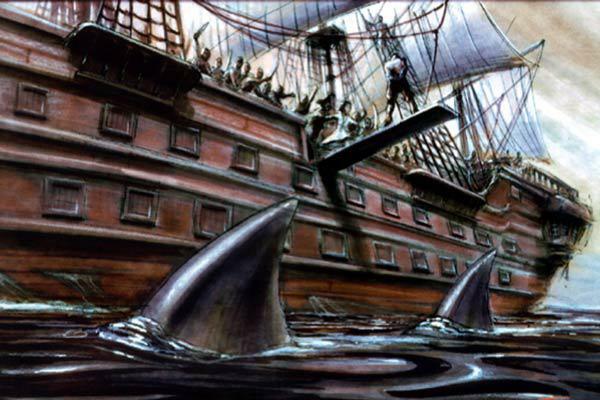 Well, spoiler alert, she's painted black because she was burned to the bottom of the sea at the end of the Pirates of the Caribbean: The Price of Freedom, the awesome book I love to talk about by A.C. Chrispin. Sorry to totally have given away the ending for you but you really should have read it already. Now, if you're one of those people who has to know how a book ends and reads the last few pages of a book first, then you're welcome. Now you can finish the book on your own. Anyways, back to the main point. How the Black Pearl is resurrected is a whole other story for a whole other post, which I'm sure will com eventually so stay tuned. Okay, so now you know why the Black Pearl is black, but I haven't really explained the pearl part yet, so brace yourselves. It's actually biblical! It comes from a parable preached by Jesus in the gospels. Jack's best friend in the book, Robby Greene, was raised in the Church of England so he knew all these Bible stories. Jack, who doesn't know the Pearl just yet, is captaining it under the command of Cutler Beckett. She's called the Wicked Wench instead, as she isn't black yet. But Jack wants to own her so badly, it's all he can think about as he sails her. 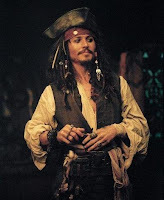 Robby: "Some things are just obvious, Jack. The Wicked Wench is like your pearl of great price." Jack: "Pearl?" Robby: "It's from the Bible, Jack. A parable Jesus told his disciples, about a merchant who saw a perfect pearl, the most wonderful, beautiful one in the whole world, but very costly. The merchant had to have this thing that was so perfect, so he sold everything he had so he could posses it. It's in the Gospel according to Matthew." This makes Jack pretty excited. Jack: "By, Jove, I know just how the chap felt, Robby. Most of the Bible stuff you tell me about doesn't make much sense to me, but this story does. A pearl of great price . . . that's this hip, to me." That' wasn't exactly what the point was though, unfortunately. Robby: "No . . no, Jack. That's not what the story means. It's a parable about how one gets into Heaven." Who doesn't love paradise? Jack: "Don't ruin it, Robby. I like the story! First Bible story you eve told me that I liked. Be happy, mate." Robby: "But, Jack-" And then they get interrupted. Throughout the book Robby drops many spiritual hints at Jack but none of them really stick with Jack until this one. Robby should tell him about when Jesus calmed the storm, because I doubt Jack loves to sail the storms. Jack really must have liked this parable because he named the love of his life after it. Jack really did risk everything for the Pearl and everything again to gain her back later. That is one committed captain all right. 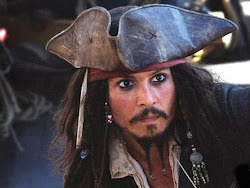 Although it really is too bad that Robby was never first mate on the Black Pearl. Perhaps Jack also partially named the ship after Robby, his long lost friend. But that whole long lost thing is a whole other story, yet again. What a great captain, what a great friend.